Peter Charlton has been a volunteer for several years for the East Durham Play & Community Network. East Durham play & Community Network is a Play Resource Centre in Trimdon Grange which provides play activities for all children, young people and families. 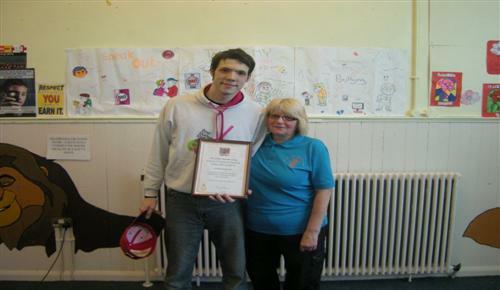 Peter comes along to all the activities we provide in Local Communities. He interacts with everyone and is an inspiration to all young people who are thinking about volunteering in their communities. He has dressed up in the costume for the Anti Bullying Service at our events, pushed elderly residents around in the wheelchairs, acted as a peer for the younger children by helping them with their activities.